Build your brand and speak to your tribe with contests and giveaways. Socialman allows you to speak to your audience in multiple languages and across multiple platforms. No coding knowledge required. Install in seconds and launch your first campaign minutes later! Socialman treats you the way you deserve with flexible billings, expert support, and upfront policies that make sure you are protected and happy every step of the way. Social media campaigns and giveaways have never been so easy. Socialman puts you in the driver's seat for your brand and website. Can't code? No problem! You know how you embed a YouTube video by copying and pasting the code? Then you already know how Socialman's installation works. Socialman currently supports fourteen languages with more on the way. Now your giveaways can target people from all over the world. Speak to your audience in their own language for maximum impact. End users click through with ease. No messing about with copying and pasting URLs for posts or tweets. Just pure simplicity and seamless integration. Users simply sign in and click! Is your audience spread across many platforms? Speak to your audience in their favourite online hangout. 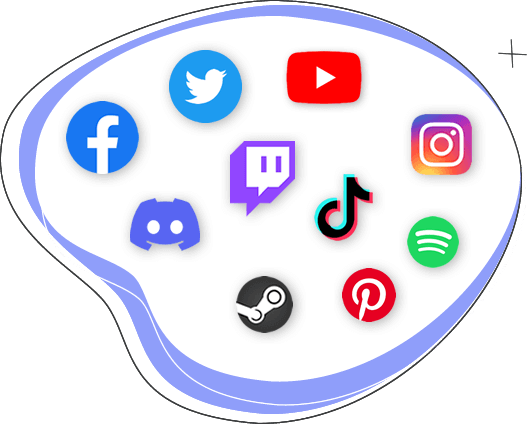 Socialman works effortlessly with Facebook, Twitter, YouTube, Instagram, Pinterest, Vkontakte, Steam, Discord, Mixer, and Twitch. Socialman gives you freedom with bespoke branding ability. Carefully craft your giveaways to leap right off the page with professional header images. 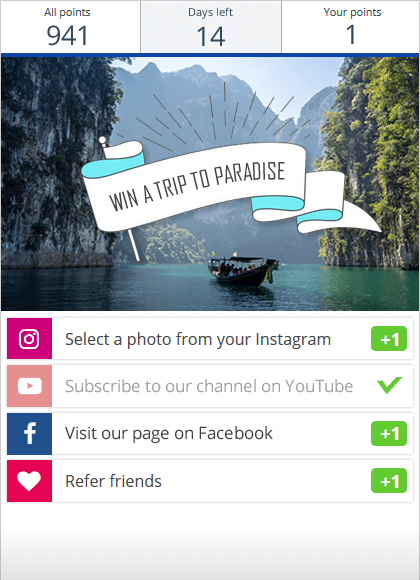 Socialman takes the hassle out of selecting a giveaway winner by automating the process. Socialman will assign a winner by point majority or randomly. It's your choice. Whatever style suits your giveaway! Socialman's dashboard has massive benefits that will keep you and your campaigns on target. Socialman's dashboard benefits from a minimalist and intuitive design. The setup is so easy a five-year-old could master it! Select any feature and assign the specific amount of points. Optimize your campaigns and giveaways by breaking down what works. Socialman's comprehensive analytics will make you a campaign mastermind. Check out everything from country and referral to URL, browser, user information, and many more. Use your new power wisely! Keep your international team happy by modifying your dashboard into four different languages. Switch the language whenever you want at the touch of a button. Setup's a cinch. Get started in seconds. No programmer, no coding, no html knowledge, no magic spells needed. It's all here in an easy-to-use format. 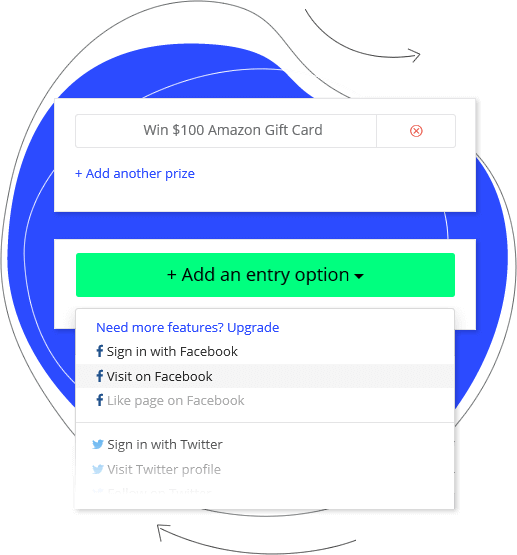 Clean interface with preview features allows you to perfect your giveaway before you launch. Tinker away until it looks exactly how you want it. You can survey the effectiveness of your giveaway and find out everything you need to know about your audience. Country, referral, URL, browser, user information, and many more! Real people who are real nice with real knowledge. We're here to hold your hand and walk you through whenever you need. No issue is too big or too small. We love our customers and are always eager to help! Socialman is a multilingual giveaway builder. Speak to your audience in English, Spanish, Chinese, French, Arabic, Portuguese, Russian, Japanese, German, Italian, Polish, Romanian, Turkish and Vietnamese (with more on the way). Each campaign can use a different language. Launch your campaign across multiple platforms for ultimate reach and impact. Harness the user bases of Facebook, Twitter, YouTube, Instagram, Pinterest, Vkontakte, Steam, Discord, Mixer, and Twitch. Socialman is the must-have widget for marketing specialists. It's every blogger's best friend. No copy and paste necessary. Everything is done from within the widget. Socialman is made up of a skilled team of programmers. We have vast experience in running marketing campaigns. Need special features? Have specific requirements? We're here to help you! Socialman offers flexible pricing plans. Payments are made and secured by PayPal. We don't keep your credit card data. You can always cancel your subscription. Connect to our social media channels and stay informed about latest news and promos. Credit Card payments are processed by Dotpay.pl. You will be redirected to Dotpay.pl website. Your Credit Card data will be stored by Dotpay.pl. We will send a $1/1€ charge to your card. After the card is confirmed, we will immediately refund the card.